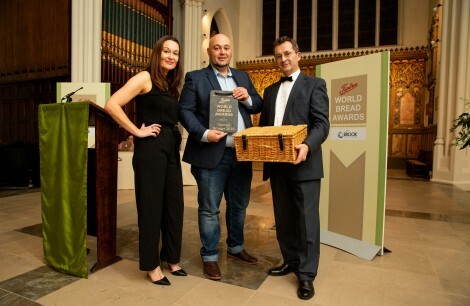 Runner-Up Spelt Ciabatta Rex Bakery Ltd.
Silver 3 Seed Levain Rex Bakery Ltd.
Gold Spelt Ciabatta Rex Bakery Ltd.
Gold Mushroom Ciabatta Rex Bakery Ltd.
Gold Baguette Rex Bakery Ltd.
Silver Rosemary & Sea Salt Focaccia Rex Bakery Ltd. Bronze Toffee Apple Bun Rex Bakery Ltd. Bronze Chocolate & Honey Buns Rex Bakery Ltd.